I fell in love with this charming seaside town. 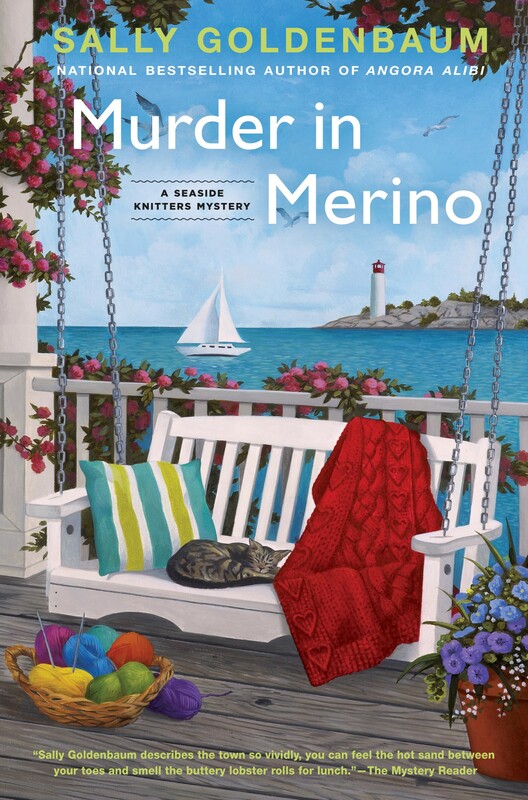 Murder in Merino is a great cozy mystery that has charming characters and well-written storyline that will make you want to visit this beautiful seaside community. I would love to visit this town. I was left guessing right up until the end as to who committed the crime. I would recommend this book to all mystery lovers. These are people you would want to know. There is also a wonderful sense of place, wonderful description. This is a place you will want to visit. And what can I say about the setting. . . amazing and my only question is how do I get invited to these Friday night gatherings and dinners? The setting is so quaint and the relationships between the characters is so fun and authentic . . . I can’t say enough about this series . This is the best example of a cozy that I have read in a long time. More than almost any other book I have read, I felt a part of the town of Sea Harbor. I was not an observer of Ben and Nell Endicott’s weekly “friends and family supper”, I was a guest. 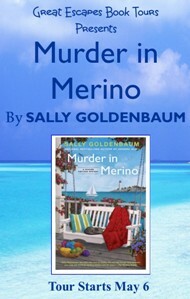 And as such, I almost felt like I had a stake in the town’s happenings, and by extension, the wonderful story woven (or would that be knitted) by Sally Goldenbaum in “Murder in Merino”. Even though this was my first visit to Sea Harbor. It won’t be my last. School will be out in a few weeks and Sea Harbor is on my reading destination. If you enjoy good mysteries, I highly recommend you join me. …this was like coming home to a familiar set of friends. I loved all the locals in Sea Harbor instantly. Sally has created a wonderful town that you really wish you could visit, by the time you finish reading the book….This is a fantastic read. The sense of love felt throughout the town between neighbors, friends, and even acquaintances (well, except for those killing off those that weren’t meant to make it through the story…ahem…and even still, there IS love), was palpable through the pages and heart warming across the miles. The author surely built a place we’d all love to find one day. I had no trouble at all feeling right at home in Sea Harbor. The characters are warm and welcoming and the town is just a delight. Author Will Give Away 1 Hardcover Copy at Each Stop!! 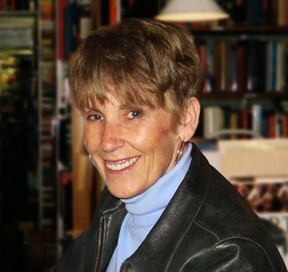 Excellent–knitting and a cozy mystery! !